Mid Bloomer. Light blue to blue-purple flowers clustered at top of tall stems. Bulbs were food for Native Americans. Also called Grass Nuts or Ithuriel’s Spear. Notes: Lily family (See Blue Dicks for family discussion). 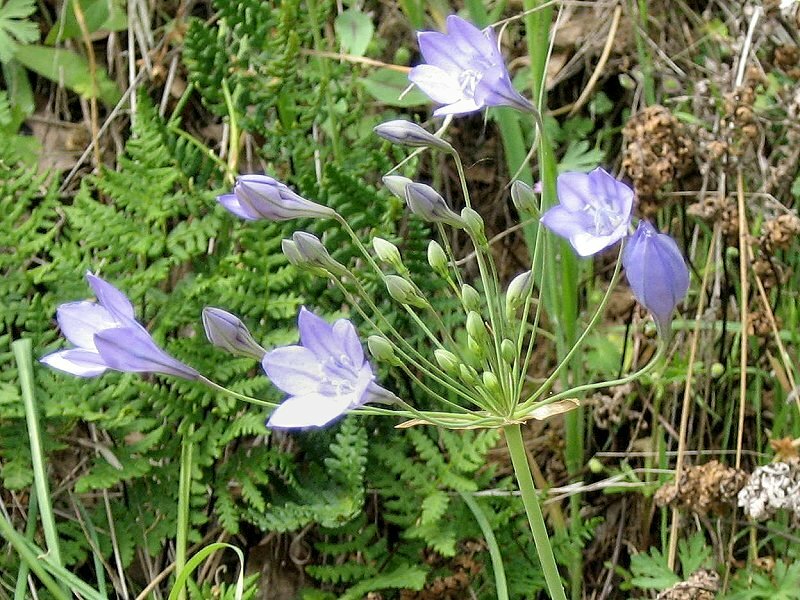 Former name: Brodiaea Laxa-Triteleia, split off from Brodiaea. Alternate name Ithuriel’s Spear is sometimes listed in wildflower books. People will often know it as that, so it good to be able to reference it as such. The name comes from Milton’s Paradise Lost: an angel had a spear and everything the spear touched would return objects to their ‘proper shapes’—thus Satan in disguise was revealed in his true form. Native Americans used the stems for temporary baskets, and the plant was dug and eaten as one of the ‘Indian Potatoes.’ Also called Nut Grass for its nutty flavor. 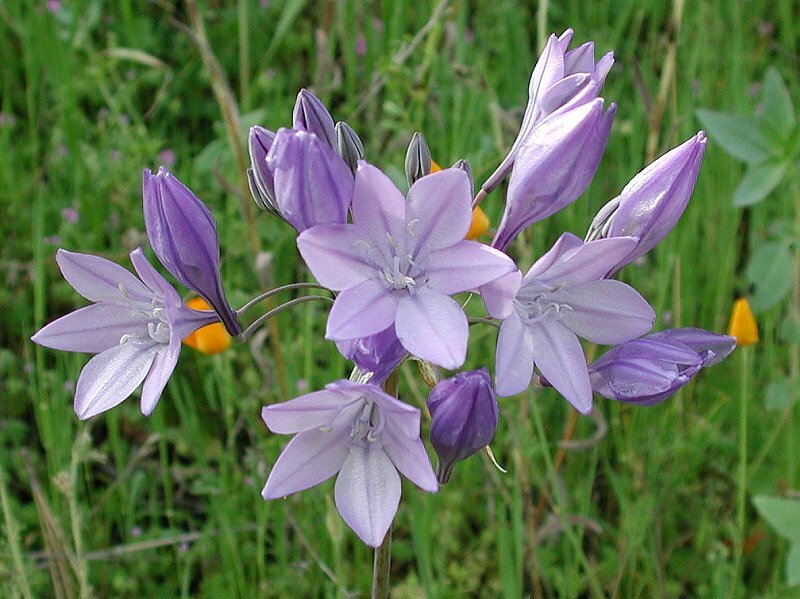 Triteleia means ‘three complete’ in reference to its 3-flower parts, laxa means ‘loose’ in reference to the openness of the umbel. The Wally Basket can have an amazing number of flowers in a single umbel, here 25 of them.